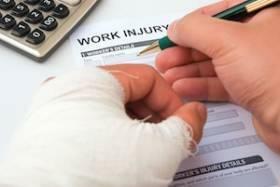 Work injuries should always be reported to your employer immediately after the injury occurs or as soon as is practical. At maximum, the injury should be reported within 45 days. If the possible injury involves exposure to radiation, the maximum time of reporting is 90 days after exposure. Any delays that extend beyond these constraints can become highly problematic and could potentially result in a denial of your claim or delay of benefits. Do not take any chances; report your injury immediately.